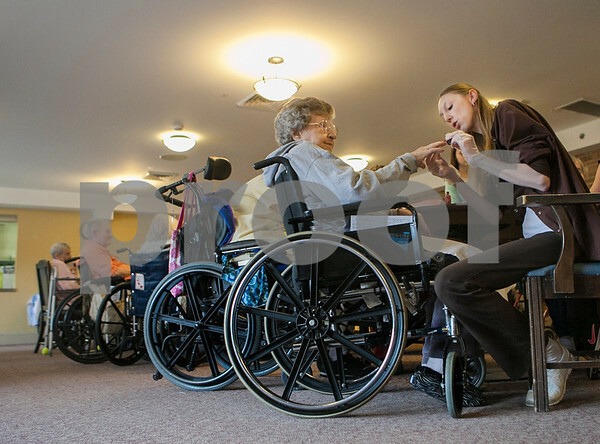 Residents of Pine Acres Rehabilitation & Living Center line up for manicures in the main dining area on Wednesday, March 25, 2015. Kay Coover (right), activities director of Pine Acres, paints resident Hazel Metzger's nails during the weekly activity. Metzger turned 100 years old on Tuesday.